Real talk: the next big thing in electric vehicle development is the pickup truck. We’ve had EV sedans, EV sports cars and a huge onslaught of EV crossovers are on their way, but the first automaker to figure out how to translate electric torque to towing, hauling and off-roading will be on to something huge. 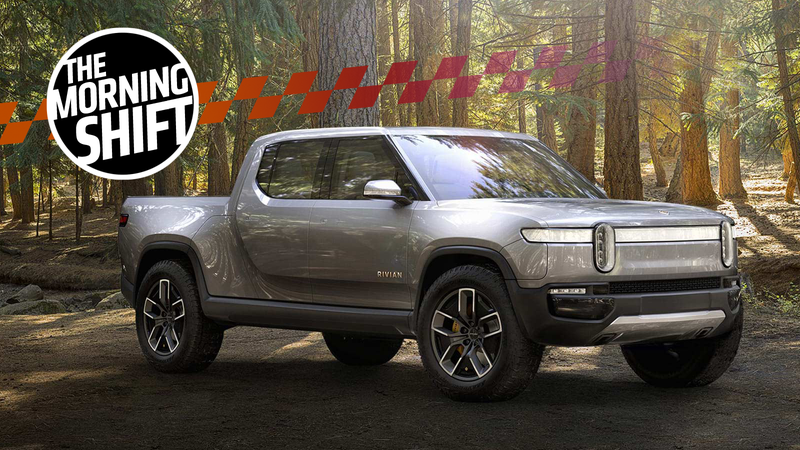 American startup automaker Rivian made waves last year with two concepts, the R1T truck and R1S SUV. Both aim to be the first EV truck and proper rugged SUV on the market, and founder R.J. Scaringe wants to back it up with Michigan know-how and production at a former Mitsubishi plant in Illinois. While the report is unconfirmed by all parties for now, GM investing in a startup is not at all surprising—recall its acquisition of autonomous tech company Cruise Automation, for example. As for now, as that Reuters story notes, GM is counting on making as much money as possible from truck and SUV sales right now to pay for the expensive investment in the electric revolution that’s coming soon. Tesla’s also supposedly working on an electric pickup truck and so is Ford. Who comes to market first? Power said 2016 model year vehicles from mass market brands averaged 135 problems per 100 models surveyed, compared with 141 problems per 100 luxury vehicles studied. Lexus ranked on top for the eighth straight year even as it was tagged with more problems — 106 per 100 vehicles — than a year earlier (99 per 100). Porsche and Toyota ranked second in a tie (108 per 100), followed by Chevrolet and Buick. At the bottom of the U.S. Vehicle Dependability Study, with an average of more than two problems reported per vehicle: Fiat, Land Rover and Volvo. Good for Chevrolet, unless this means more Real People ads, in which case, please strap me to a rocket and fire me straight into the sun. Automakers and other manufacturers have warned about the toll a no-deal Brexit could impose, including higher tariffs, disruption to supply chains and threats to jobs. Britain is scheduled to leave the European Union on March 29. Ford employs about 13,000 people in Britain at present. Speaking of awesome decisions, let’s talk about America’s trade war with China for a bit. Tesla is preparing to double down on China, the world’s biggest EV market, this year, but it does not yet have its factory up and running there yet. So with America’s trade war truce with China ending March 1, it has to get as many new Model 3s as it can over there in the meantime to duck possibly devastating tariffs. Tesla Inc. is loading as many Model 3 sedans as it can onto vessels destined for the People’s Republic ahead of March 1, when a trade-war truce between presidents Donald Trump and Xi Jinping is scheduled to expire. Musk fears the two countries could ratchet tariffs back up, which would make the chief executive officer’s electric cars more expensive in China and boost costs of key components the country sends to his U.S. assembly plant. But following through on that vow has bedeviled Musk. The cheapest version available now—almost three years since he first showed a concept of the car—is $42,900. In Europe, where deliveries are just getting underway, prices vary by country, with customers in Belgium paying a base price of 58,800 euros ($66,600), compared with 55,400 euros in Germany and 53,500 euros in France. In China, the Model 3 starts at 433,000 yuan ($63,900). Some of the best-selling electric cars in the market—the world’s biggest for battery-powered vehicles—can be had for less than a sixth of that price. Beijing Electric Vehicle Co.’s EC Series and Chery Automobile Co.’s eQ are listed at 65,800 yuan after subsidies. The March 1 deadline on tariffs will be very interesting to watch. A lawsuit by workers remains ongoing as well. That story is filed under “INVENTIONS AND SCIENCE”, which is a hilarious tagging error (?). Neutral: Who Comes To Market With An Electric Truck First?